Next, you get 3 hooks. This is what took so long. I tried to buy 3 Brittany hooks and they were out of 2 of them, so they had to substitute Surina hooks instead. I think that’s fine, as each of these hooks looks lovely and functional at the same time. So you get a D hook, an H hook, and a J hook. I got these sizes because these are the ones I use most often and I hope they will be useful for you! And finally, you get some really cute buttons! Some of them are a little small, but they’d be perfect for baby items or something delicate. There are 21 buttons — you get the exact ones pictured! Share this post, or a link to it, on your own blog. That’s it! Unlike my last giveaway, everybody gets 1 entry this time (I don’t want the drawing to be confusing, and I have a feeling I’ll have more than 4 entrants this time). You have until 6/26/12 to enter, which is a week from today. After the entering is closed, I will randomly draw a winner, and they will have until the 1st of July to claim their prize. If it is not claimed, I will re-draw at that time. What!!!! I can’t be the only entrant. That’s a beautiful giveaway!!! Congrats on having so many followers. Whoever wins, gets an awesome prize!!!! Thanks for hosting this. Thanks for the chance! I love knit picks! 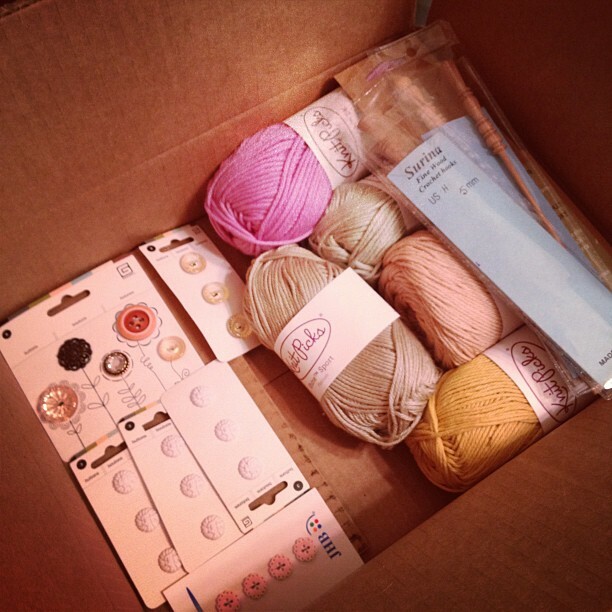 Fantastic giveaway from Not Your Average Crochet! Congratulations on increasing your followers, it’s a nice feeling isn’t it? I keep thinking I should do a giveaway of some kind, but my blog is such a mixed bag, not sure what I would do. What a great giveaway. Would love to receive that seeing that we don’t get that kind of wool and buttons here in SA! I would love to enter pretty please 😀 I’m in the UK so is it still possible to enter? I would be very happy to contribute towards the airmail if I won. Sure! You can enter, no problem! And you don’t have to help with shipping, it shouldn’t be too bad! Thanks! Well if I win and it’s too expensive let me know! This is a truly lovely givaway! Thank you! Lovely givaway! Shared on my tumblr! Thank you, ooh all excited now! lol. Love the hooks and yarn. Keeping my fingers crossed to win! What a wonderful giveawaway! I blogged about it on my blog! Wow, this is exciting…what a great giveaway! oooh how cool…………. I will keep my fingers crossed to win and will be reblogging ! Hey all…while reading my blogs I came across this….check this out for 1) a cool blog and 2) a great chance to win some great crochet items…. 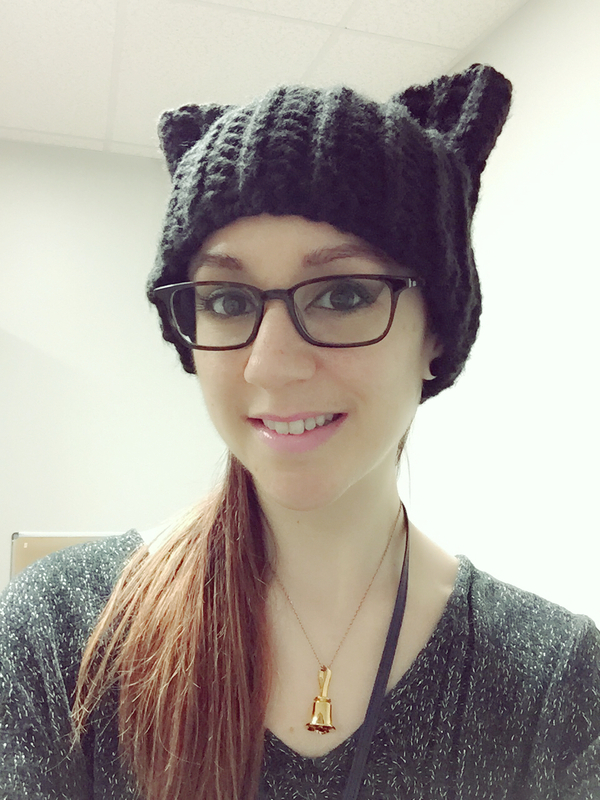 Hi, I’m new to your blog, which looks like an interesting and useful place for a crocheter. Please, add me too to your wonderful giveaway. This looks lovely! Found your blog via this contest, but I’ll be following it from now on. What a wonderful giveaway! How very exciting! Hi! I’d love to enter your giveaway! Congrats on your followers too! Oh, my this is fabulous! I want all of it. Pick me, pick me! What a great giveaway. I just started following your blog and spent a little while reading around. I notice we have similar tastes in Ravelry patterns! Oh, la, la! Congrats on the increase in followers. I’ve added it to my blog, facebook and pinterest! The yarns look so inviting (inviting to be made into wonderful gifts). The person who wins will be so lucky. She has some wonderful products she is giving away here! and I love her blog wish I would of found it sooner! 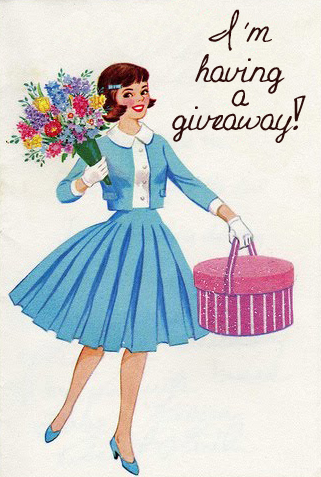 I’ve posted your giveaway on my blog. You can view it at http://www.hearthandwhimsy.com. Very nice and generous giveaway. Great giveaway. I found it through someone else and it’s the first time I’ve been to your blog: I’m loving it! So happy I found your blog and excited about entering this giveaway. 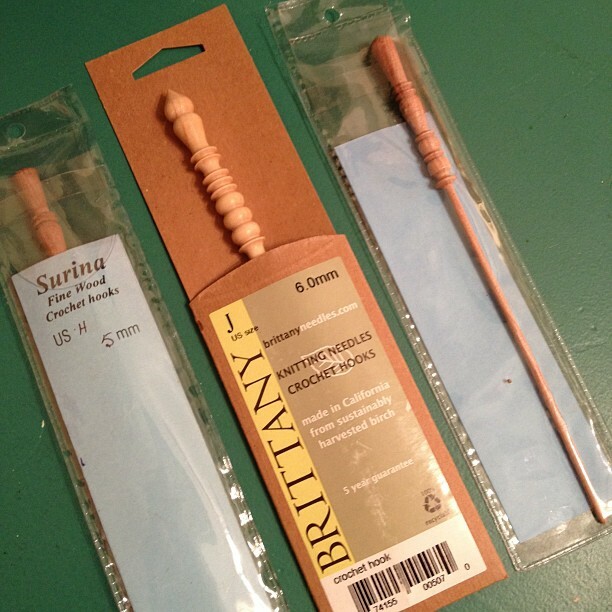 Great giveaway, I have a Brittany hook – but she’s too pretty to use!!! Oh wow, the hooks look great! Congratulations on gaining so many followers! Reblogged this on Kathryn Rubidoux. I hope this helps a lot of people discover your very cool blog! What a great giveaway… please count me in! First time I’ve come to your blog, but not the last!! Wonderful giveaway!! Keeping my fingers crossed. Please count me in, I added a sidebar button on my blog to this post. Congrats on your blog followers. Your give-away is awesome! That yarn looks so inviting and I have always wanted to try wooden hooks and needles. And the buttons…too cute! Can always find a use for them. Thank you for the opportunity to win an awesome prize package. Linking this to my blog… Hoping I will win this great give away!! This would be a lovely gift to receive, Thank you for the opportunity. Lovely! Thanks for the opportunity. I am linking to your blog on today’s post. What a lovely giveaway! I have linked to your site on my post. Thank you! I love the colors of the yarn! How lovely are those colors? Just found your blog and have to see all your beautiful posts. Reblogged this on Loopy Pink Contemplation. What a wonderful competition – thanks for the opportunity to win such lovely items. I can’t resist gorgous yarns so just have to enter! wow, those are some really nice prizes:) How creative of you to have a giveaway. Good luck to everyone. Everything is adorable. How lovely!! Thank you for the great giveaway!! Ooh, what an amazing giveaway! Such a nice selection! What a generous award! Congrats on 50 followers, I’m sure that number is going to continue to grow, you’ve gained a new one here, glad I found you! 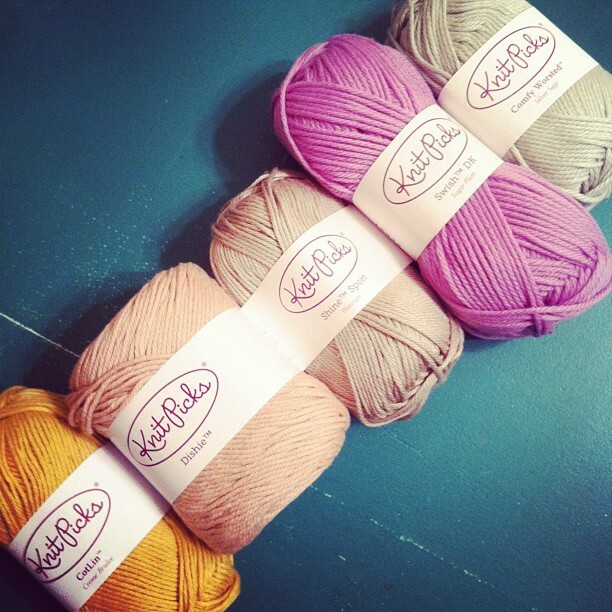 I’ve been dying to try out Knitpicks yarns, I’ve never ordered online before but I hear about knitpicks all the time, I’ve been on the edge of just doing it! What a generous and lovely RAK you have here for us. Thanks for the chance of winning this scrummy lot. Those hooks look lovely! Thank you for the giveaway! Hi Hannah, I came across your blog as I was sifting through links on crochet blogs! I am always looking for something new or different. Taking a chance at the giveaway as I continue to browse your blog. Thank you for the chance for such a great prize. I would love to win this! I don’t have a blog though–does posting a link to Facebook count? Really nice!!!! oh those needles….Pick Me!!!!! Oh my gosh! Those hooks are gorgeous! LOVE! Wow! Congrats on all the followers. Those hooks are gorgeous, and the yarn would be perfect for a crochet project that I am considering. I would love to win!!! It looks so yummy!!! Very nice and thank you. I have posted on my facebook page. I do love a great giveaway. Just wanted to stop by & say hello. I may not comment but I visit often. Stay cool! Thanks for the comment! Glad to know you’re a frequent visitor! You stay cool too. It was 106 today here!